Materials scientists, mechanical engineers, plastics engineers, scientists, researchers and students involved or interested in adhesives and sealants. 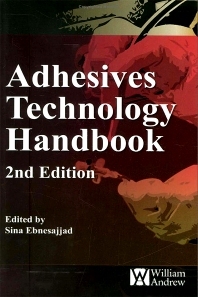 Sina Ebnesajjad is the series editor of Plastics Design Library (PDL) published in the William Andrew imprint of Elsevier. This Series is a unique series, comprising technology and applications handbooks, data books and practical guides tailored to the needs of practitioners. Sina was the editor-in-chief of William Andrew Publishing from 2005 to 2007, which was acquired by Elsevier in 2009. He retired as a Senior Technology Associate in 2005 from the DuPont fluoropolymers after nearly 24 years of service. Sina founded of FluoroConsultants Group, LLC in 2006 where he continues to work. Sina earned his Bachelor of Science from the School of Engineering of the University of Tehran in 1976, Master of Science and PhD from the University of Michigan, Ann Arbor, all in Chemical Engineering. 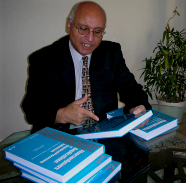 He is author, editor and co-author of fifteen technical and data books including five handbooks on fluoropolymers technology and applications. He is author and co-author of three books in surface preparation and adhesion of materials, two of which are in their second editions. Sina has been involved with technical writing and publishing since 1974. His experiences include fluoropolymer technologies (polytetrafluoroethylene and its copolymers) including polymerization, finishing, fabrication, product development, failure analysis, market development and technical service. Sina holds six patents.